The Virginia Beach Saturday afternoon. The sky is a precious color blue, and the wind is a mild, yet motivating cold. My office windows look out on my little neighbors playing cowboys outside. They make me smile, and I find myself longing to get lost in their little world of make believe. I crunch into my red delicious apple and try to dismiss thoughts of stolen property, the mounds of laundry to wash and chapters about research to read and the note left on my door yesterday saying that my student loans have not come through for this semester's tuition. A bird is fastening a nest in a crepe-murdle. I watch it hop from branch to branch and can't help but think that's exactly how I'm living my life. Trying to find a balance - flitting from branch to branch, idea to idea, passion to passion, trying to construct a solid and sure me. I spent the morning with one of my favorite people in one of my favorite places. Barnes and Noble. We, like the bird, wandered from shelf to shelf with our "Starbucks" coffees (his was decaf, mine was real) playing a game my sister and I learned from the Vlogbrothers. Adding "in your pants" to the ends of book titles. The funniest one we found? Now, tell me that didn't make you laugh! We looked through books about canoeing - he expressed to me today that he has an insatiable itch to go camping and to go on a great adventure. And how a lot of men just want a woman to go on the adventure with them. Then I think about my budding plans for a summer in Jerusalem. I think about that bird right outside my window. I think about my little neighbors playing cowboy. And I think about how we all just want adventure. I think about how the Virginia Beach Saturday afternoon is an adventure in and of itself, and how content I am to be the full time student slash waitress me on days like today. And how I don't need to play cowboy for adventure in my life. I'm in the middle of it right now. Sounds pretty fun. 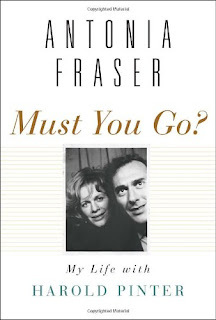 :) You're right, I did laugh out loud when I read "Must you go?"..... I've heard of this game before but I don't think I've heard of one quite this good. I've also heard of adding "in bed" at the end of a sentence.